The small town of Chinon is located between Tours and Saumur along the Vienne river (shortly before it merges into the mighty Loire) at about 2 hours 15 minutes from Paris. Until recently the town hadn't really a wine shop/bar that was on par with what you'd expect in a region with an old wine culture (this is the home country of Rabelais ! ); there was the Café des Arts though, which is a good alternative, having a pretty good wine list, but food is so-so. But things are changing and as another proof that real wines are getting a larger audience in the French provinces, here is La Cabane à Vin, the wine bar/caviste you must absolutely visit if you're spending some time in the elegant town of Chinon, because you may stumble on cuvées not found anywhere else, like this Baudry Franc de Pied made from Grolleau (a vin de France). I think the advantage for focused wine bars located in small towns in the middle of wine regions is that they build patient relationships with local producers who now and then make small cuvées the size of a barrel which naturally ends up in the local venue, and it's also a way for the vignerons to support the wine bar/caviste, like I've reported was happening with this caviste in Fleurie. Makes sense, easy to deliver, possibly also makes so2 addition less necessary. Emilie wanted to do something herself around wine, and the idea came up to open a wine bar or a wine shop, she while speaking about it here and there she met Matthieu Baudry who encouraged her and the project took shape. She says opening such a wine shop is out of reach in Quebec because the SAQ (the Province's monopoly for alcoholic beverages) is the only authorized business for selling wine to the public. 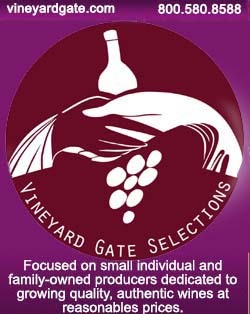 There are indeed private cavistes but they're allowed only to sell by 12-bottle cases and have no street shop (they work from their office) and can't have their customers taste the wines. What she does here in Chinon, selling the wines she wants and ordering directly to the vignerons of her choice is unimaginable in Canada. The wine bar/shop is ideally located downtown Chinon, near the quiet central square where you find other restaurants and place to have a drink, on 23 Place du Général De Gaulle, lightly off-center the square, which is even better because less noisy. Chinon has I think a vibrant real estate market, it's not one of these sleepy town where many businesses and shops are closed with signs for sale/for rent, and the good luck was on Emilie's side : she used to by tea in this small shop when, two weeks after having spoken to Matthieu she saw the sign "for sale" on the shop window and she was the first to answer. We went to the Cabane with Matthieu Baudry, who through his support in this venture is doing he a great job to help the people of Chinon have access to a meaningful wine list. This sounds easy when seen from a big city like Paris where virtually every other wine venue setting shop focuses on artisan wine, but in smaller towns it's an uphill battle to present wines that may be simple table wines, or just wines that are not yet mainstream. This wine bar has hidden treasures, there's a room upstairs which groups of people (business, friends or family) can sort of privatize and have a party, ordering the wines of the wine shop with a cork fee of 8 €, that's pretty affordable for wines you hardly find in regular bars in town. Emilie also invites vignerons at her Cabane for special tastings, which is the ideal way for people interested in wine to chat with the very person who tends the vineyard and does the vinification. The vignerons are used to do it in Paris from time to time, but if they're from Touraine, Chinon or Bourgueil regions it's easier for them to come spends a few hours in Chinon. For the wines they're basically all from organic producers who vinify naturally; the majority is from the Loire but you'll have also wines from the other regions plus a few foreign ones, Serbia, Portugal & South America for example. Vouvray Ciel Rouge by Michel Autran 19,5 € - Domaine de la Roche Bleue, L'Orée de la Berterie, Coteaux du Loir 2015 17,5 € - Domaine de la Roche Bleue Jasnières 2015 19 € - Domaine de la Roche Bleue, La Guiguette Coteaux du Loir 2015 17 € - L'Epicourchois Cour-Cheverny 2012 18 € - Haut Planty Vin de France Abouriou 9 € - Bernard Baudry Franc de Pied Grolleau 2014 13 € - Melaric Vin de France Le Tandem 11 € - Melaric Billes de Roche Saumur 2014 15 € - Gabrièle et Régis Dansault Bruyère Marin 2014 Touraine Côt 11 € - Jean Philippe Padié Milouise vin de France 2014 30 € - Maison Padié, Le Tourbillon de la Vie, Vin de France 2015 10 € . Speaking of this Grolleau Franc de Pied vin de France 2014 (pictured on left) this is a cuvée you'll find nowhere else than at La Cabane because it's a very small volume, Matthieu planted the parcel in 2011, he has only 20 ares of it and he wanted to experiment ungrafted Grolleau for the easy-drinking character of the variety, compared to Cabernet Franc with which you're more supposed to eat a solid meal. __ Saumur Puy-Notre-Dame red 2014 by Les Noades, another organic wine farm of the Saumur area (this is the red Emilie is pouring on the picture on top). Jacky Ripoche the vigneron of Les Noades came here a month before, Matthieu says, he presented his cuvées and people loved it. Very nice red, with fruit and energy, lovely wine indeed. Priced 14 € to go at La Cabane. I asked Matthieu about the frost damage from april at Domaine Bernard Baudry, he said (as confirmed when I called again very recently) that they escaped with relatively few losses, about 8 % compared to the 50 % they lost in 2016. This picture shows a parcel on the slope, this was may 17, the frost having occured several days in a row around april 25. Most of the damage was concentrated on their parcels west of Chinon (where they lost 50 %), on an area near Saint Louans which usually never freezes because it's up the hill, proving that this frost episode is atypical. Large domaines of Chinon had hired helicopters to fly over their most important parcels, the aircraft were scheduled to fly early in the morning with the intent of preventing the frost by swirling warm air down to mix with the colder air along the ground, but in France the choppers are allowed to take the air only 30 minutes before sunrise. This would have been early enough on an ordinary frost episode but this black frost was of a very different nature, the temperature had dipped below freezing much earlier than dawn and the helicopters' work didn't do the job as expected. Of course most growers used hay which they'd put alight alight or they used candles but this was 4 or 5 days in a row and it didn't save all the parcels. We also tasted a few wines with Matthieu including this Clos Guillot 2015 then in these wooden tronconic vats. Matthieu says that since 2 years ago they decided to age this cuvée one year in barrel (neutral oak) plus 9 months in cement tanks and tronconic vats, the reason is this wine is refined and delicate and 2 years in barrels was too much. So here you can read on the blackboard that the wine had a first racking the 12th of december 2016 with 1 gram so2, and a second racking march 23 2017 with 0,55 gram so2. Will be bottled next september. Very elegant wine indeed, and refined, same for the nose, love it, with these thin tannins. Matthieu says that more and more he feels that longer élevage is needed (like here 2 years) when you work naturally. __ In the cellar we tasted quite a few good things, including this La Croix Boissée red 2015, on a terroir that is a micro climate thick with soft sandstone or chalk which translate in a higher ripeness. Delicious wine indeed, still in barrel at this stage. Matthieu says that they're careful precisely over avoiding overripeness on this terroir. The wine is just so fresh, no harsh tannins, really very enjoyable already now for me, but Matthieu says it'll be bottled next march (2018). Recently they bottled the 2014. __ Clos Guillot 2016, not in the proper order Matthieu says but let's taste ! Very floral, feminine, again so beautiful already at this early stage.